This lovely dressing table forms a part of our Lila Range. Painted in a fresh, clean white colour that will fit in with any colour scheme. Beautiful French inspired design that is just perfect for a vintage style bedroom. The dressing table features 2 drawers with rose carved drawer knobs and carved legs. The vanity mirror adds to the vintage appeal with its large oval swing style mirror, decorated with a rose motif, set inside a frame that also comes with 2 handy trinket drawers. The set is finished off with the comfy cushioned stool. This set will look fantastic in a girly bedroom and adds just the right amount of softness and chic style and will also be perfect furniture for a young girls bedroom. Our Lila Range also comes with matching furniture including a wardrobe, bedside chests and chest of drawers for you to create the perfect dream bedroom. This lovely dressing table forms a part of our Lila Range. Painted in a fresh, clean white colour that will fit in with any colour scheme. Beautiful French inspired design that is just perfect for a vintage style bedroom. The dressing table features 2 drawers with rose carved drawer knobs and carved legs. The vanity mirror adds to the vintage appeal with its large oval swing style mirror, decorated with a rose motif, set inside a frame that also comes with 2 handy trinket drawers. The set is finished off with the comfy cushioned stool. This set will look fantastic in a girly bedroom and adds just the right amount of softness and chic style and will also be perfect furniture for a young girls bedroom. Our Lila Range also comes with matching furniture including a wardrobe, bedside chests and chest of drawers for you to create the perfect dream bedroom. Made from wood and painted in a clean, crisp white. The set does come flat packed with the legs to attach to the dressing table top, the stool top to attach to the legs and finally the mirror needs assembling. All pieces come boxed together with instructions and fittings included. This 2 drawer dressing table set is perfect piece of furniture for adding that something special to your bedroom décor. 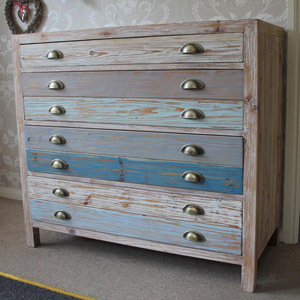 We have more furniture available in this range for you to complete a bedroom makeover, with a wardrobe, bedside chest and chest of drawers, in 2 sizes, perfect bedroom furniture with all the storage you need. 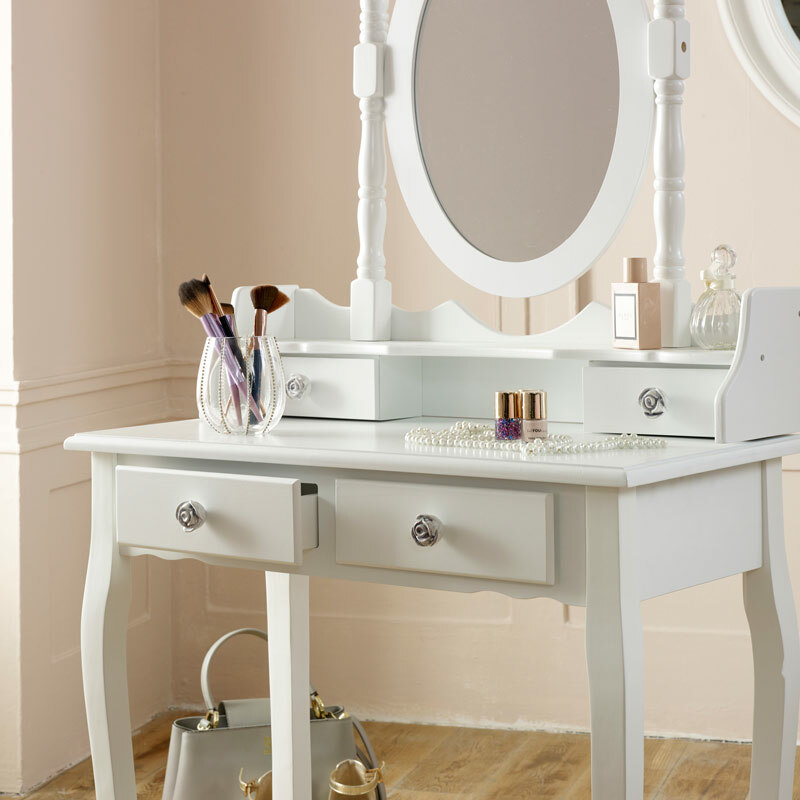 From the Lila range, this is a Dressing Table, Stool and Mirror set, which is painted white with a washed finish. The padded top of the stool is beige velour. The adjustable swing mirror is oval, and includes a mini shelf and 2 small drawers as its pedestal. It has shaped legs to both the table and stool and carved fascia to each piece. There are rose handles to the drawers and a carved swag including roses to the head of the mirror. The posts for the mirror are shaped. The overall dimensions are 75 cm x 70 cm x 40 cm (width x height x depth)with the mirror section being 70 cm square and the stool is 42 cm x 40 cm.